Puppet Master: The Littlest Reich - DVD Review - ReDVDit! Puppet Master: The Littlest Reich is a 2018 horror-comedy film that was written by S. Craig Zahler and directed by Sonny Laguna and Tommy Wiklund and is the eleventh entry into he long-running Puppet Master film franchise. Serving as a reboot of the series, it stars Thomas Lennon, Kennedy Summers, Barbara Crampton, and Udo Kier. It was released on August 17, 2018 by RLJE Films. In Puppet Master: The Littlest Reich, the recently divorced and reeling, Edgar returns to his childhood home to regroup his life. 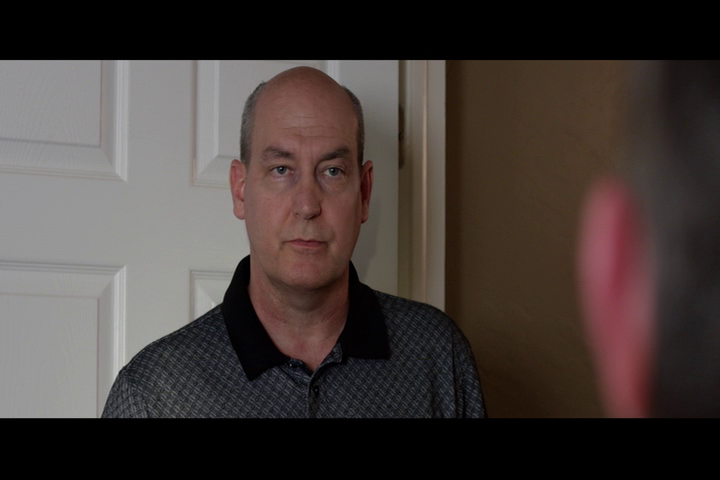 When he finds a nefarious looking puppet in his deceased brother’s room, he decides to sell the doll for some quick cash at a small-town convention celebrating the 30th Anniversary of the infamous Toulon Murders. Girl-next-door Ashley and his comic book shop boss, Markowitz, join him for the doomed road trip. All hell begins to break loose when a strange force animates the puppets at the convention, setting them on a bloody killing spree that’s motivated by an evil that’s as old as time. The reboot was announced in May 2016 with Di Bonaventura Pictures and Caliber Media (later renamed to Cinestate) optioning the film rights and S. Craig Zahler listed as writing the screenplay. The film had its world premiere at the Overlook Film Festival on April 20, 2018, its Canadian premiere at the Fantasia International Film Festival in Canada on July 23, 2018, and was later released to video on demand on August 17, 2018. Puppet Master: The Littlest Reich is a film that, while it’s not like your average slasher flick, it’s a hilariously paced gore movie that sits somewhere in between Peter Jackson’s Dead Alive and any Troma film that you can think of. Being a semi-interesting spin as they’re rebooting the series, if you go into this movie with absolutely zero expectations and an open mind, taking things not too seriously, you’re going to have one hell of a time. It’s being said that this release is better than the launch that happened in 1989, and I can certainly agree with that. 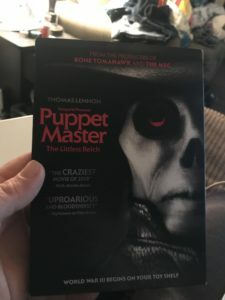 The DVD copy of the Puppet Master: The Littlest Reich was all right as it played out across my living room TV. While I do wish that we would have been given the chance at a Blu-ray copy or a 4K copy, those would have obviously offered a better visual presentation. Working with what we were given, I can attest to this release being watchable. With nothing really standing out more than other sequences, it was mostly clean, and visually understandable, at least by over-the-air television quality standards. Packaged with a Dolby Digital 5.1 mix, the DVD copy of Puppet Master: The Littlest Reich uses the full capacity from the format to offer a clean and powerful experience for its viewers. Despite the lack of raw power that could have been, the core of the film and its story were easily understandable one I’d turned the volume levels up on my receiver. Dialogue is spoken cleanly, allowing everybody to be heard and understood without the need to adjust the volume levels as it progresses. 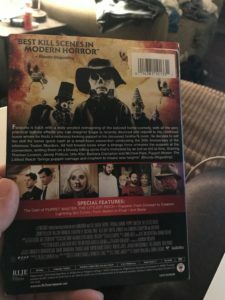 The DVD copy of Puppet Master: The Littlest Reich comes packaged in your standard single-disc DVD amaray case. Within that case is the standard DVD copy of the film, the disc featuring a piece of artwork that matches that of the case. There are no digital copy redemption pamphlets included with this release. There is a slipcover that’s been included during the original pressing of the release that features the same piece of artwork that’s been made available on the case. Overall, I was really glad that I was given the opportunity to sit down with Puppet Master: The Littlest Reich. I had personally grown up with the earlier films of the franchise, and given that it’s been a few years since I’d last seen any, it was an exciting opportunity to see where they are going to be taking things with this reboot. The story that we’re given with this release is one that falls in line with my personal expectations with its goofiness and its gore. The visual and audio presentation of this release is exactly what you would have expected with a DVD release, and I can only assume that the Blu-ray or 4K UHD release offered a significantly more improved picture and audio track. The special features included were a nice touch and were really fun to explore. If you’re considering this release for your collection, I’d recommend one of the higher quality releases. Puppet Master: The Littlest Reich is available on 4K UHD, Blu-ray and DVD today.